FF: How did you decide to branch off from light comedy of the Muppet movies into a more serious science fiction/fantasy format such as in Dark Crystal? Henson: It was a very different thing, certainly. A major change of direction for us, my company, the designers and all concerned. But it was fun. 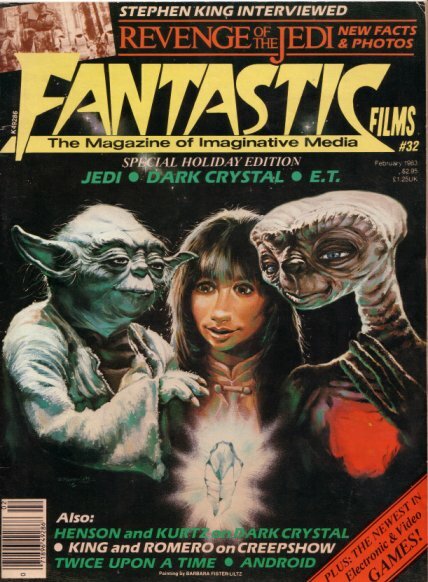 Dark Crystal was a story we'd started working on even before the first Muppet movie, back in '75 or '76. So it has been in development for a long time. FF: Did you have trouble finding a producer or funding for such a different kind of picture? Henson: No, no really. It was relatively easy. When Lew Grade approached has to do the first Muppet movie, I said, "Yes, that's a really good idea, but I've already got this movie I've started thinking about." he said, "Fine, we'll do them both." Then he said," But let's do the Muppet movie first." So we did that one, then I kept working on Dark Crystal all this time. There was just a small team working on it at that time, mostly puppet designers. It was the sort of thing that needed a lot of research, a lot of time and experimentation. Then, at the end of the first Muppet movie, the thought was that we should follow that up with another. The theatre owners wanted us to come through with a sequel that next summer again, and that pushed Dark Crystal back a bit. But we were working on Dark Crystal all that time and Lew Grade kept supporting us, something that I really appreciated. FF. Were you a fan of Brian Froud (the British fantasy artist who designed most of the movie) before he started working on Dark Crystal? HENSON: About the time I started working on the film, someone showed me some of Brian's work. I loved it. I think that was about the time one of his first books was published, I think. It was a book of fantasy illustrations called Once Upon A Time. He had three or four illustrations in that book and that was the first I'd ever seen of him. I was working on the film anyway so I asked for a meeting. We had dinner and have been working enthusiastically ever since, about five years, now. He's a lovely guy, he's brought so much to this film. He worked on all the design concepts and even more than that. A lot of the main look and feel of things. He contributed a lot in the discussions about the characters, what they're like inside. He developed a whole symbolic structure that permeates the "reality" of Dark Crystal. KURTZ: When you're creating a fantasy world, one of the biggest challenges is to make it exist beyond the edge of the frame, so to speak ... that there is a "real world" out there and that things are happening consciously or unconsciously outside of that particular scene. Brian was very good at developing the visual symbology of the Dark Crystal society, and the religious and philosophical concepts that went with it, even though that's not the central theme of the film. They're just sort of there, at the edges. FF. Gary, how did you team up with the Henson group? What got you interested in Dark Crystal? KURTZ Well, I first got interested when I went to Jim to have him develop a creature for The Empire Strikes Back, which ended up becoming Yoda. I asked his assistance after seeing some of the things he'd developed for Dark Crystal which were along the same lines. Something that looked "real" in the fantasy sense. Inevitably a lot of his workshop people helped on Yoda, while continuing to work on Dark Crystal. Then he asked me to join him in working on the film. And eventually I got involved full time when they were beginning to shoot. FF. What kind of marketing approach are you planning? 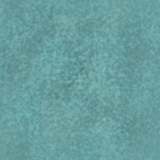 For example, in the area of the poster designs. KURTZ: Brian Froud is working on one poster design right now. FF. The creatures in Dark Crystal, are they considered Muppets or puppets? HENSON: We just call them creatures; they are not really either muppets or puppets. FF. They seem incredibly more complex than the muppets. Some of them must have one or two actors inside of them. It also seems that they incorporated variations of oriental types of dance movements. Did you study any choreography related to those styles? HENSON: There are similarities there. We brought in a Swiss performer who works as a mime. He was in charge of "choreographing" movement for certain of the characters, and had a team of performers that worked for about six to eight months before we even started shooting, practicing the ways these characters would move and also building up the physical stamina necessary to perform the movements, such as the galloping landstriders. Also remember that these creatures are fairly complicated. The technology used for them is a variety of techniques: radio control, mechanical linkages and some of the traditional puppetry techniques. But it's all mixed together so that it's very difficult to identify exactly. Because of that complexity and because there's five or six performers for each creature, sometimes that team of people were the performer They had to work out the personality of each creature. They had to rehearse as a team so that they could keep that personality consistent. Sometimes when we had virtually every character on the stage at the same time there would be fifty or sixty operators on the set trying to function, and it was like Grand Central Station. To keep them all working on film was difficult, but it was always the principal performers job to focus the personality of the character and to be the actor and make sure that the character came across correctly on the screen. FF. The heroes, Jen and Kira, as opposed to Yoda or E.T were designed to be "cute." Does this kind of cliched appearance ever get in the way of serious story telling? KURTZ:I think what you're reacting to is the fact that the central characters Jen and Kira are certainly the most human looking, sort of elvish. . And because of that, the audience expects them to act more like human beings, whereas the other characters are so bizarre and different, they don't expect them to act like human beings. The biggest problem with a story like this is that the hero always seems to be the most bland character in the whole thing. He's everyman, he's you, he's the audience, and what he comes up against, all of the problems he encounters are what is supposed to make the storyline interesting. But I'm not sure that's always the case. In fact, I think most people, if you ask them who their favorite character from Star Wars was, almost no one will say Luke Skywaker. They will inevitably choose Han Solo or Chewbacca, or C-3P0 or Darth Vader or somebody else. Because the main protagonist is the center of the story and the audience's stand in, he carries the film, but nobody really sees him as an important or major character. Very often the "hero" is not the favorite. It's not because we admire the bad guys or the supporting characters more than the hero, it's just that they're more interesting. FF. Did you find yourself becoming more conscious about the details of your own human movements? KURTZ However, in making all of the creatures work, most of the performers used their own perceptions of life as one of their only touchstones with reality. With all the odd characters in the film, which don't really act like human beings at all, the underlying personalities that are there are certainly human insofar as we know why they do what they do or why they think what they think. The reason artificial creatures work so well is that the personality that's created for them is something that we can perceive as seeing in other people, sort of an ideal distortion. It's like the cartoon caricatures that artists do at carnivals and fairs because they exaggerate something about the person. That's what happens with artificial creatures. That's what happened with Yoda, and that's what happened with some of the creatures in Dark Crystal. We spot those points that we see as realistic in ourselves or in other people even though they're not portrayed in the same way. FF. Do either of you plan to work together again? HENSON: No, not at the moment. I've got another Muppet film ready and Gary's got a couple of other projects, so the next couple of things we do probably won't be together. KURTZ: I've got a couple of new projects after this, two animated films that are just starting to develop. One is based on Will Eisner's character The Spirit; the other is based on Little Nemo, a famous Sunday comic strip that was done by Windsor McKay. I'm also working with Walt Disney in the very early stages of a sequel to the Wizard of Oz. There isn't much on that yet, but it looks right now as if Dorothy's returned and the sequel will be based on composite parts of the second, third and fourth books. FF: Is there anything else, any other sort of movie besides the Muppets, you'd like to do, Jim? HENSON: I've got a couple of scripts I've written that are sitting around. I'll probably get to them as soon as I can. I also have a new television series we're doing for HBO with all new characters, that comes on at the end of this year. It's a children's show called Fraggle Rock It's designed for international distribution through the CBC. FF: Do you anticipate a character like Miss Piggy in that one? HENSON: You can't anticipate a character like Miss Piggy. That sort of thing just happens. FF. Did you find it easier or more difficult writing about "unreal" things, things that are sprung from your imagination? HENSON: Well, it was certainly more fun. I think the idea of conceiving of and building the Dark Crystal world from scratch was really appealing. A lot of our early work, as we started putting this thing together was really collaborate. We'd sit around the room and talk, spending two or three days on what these characters should be like and invent each of the areas of this new world. It was really a lot of fun. FF. Is there anything more you'd like to do with the Dark Crystal world? A sequel perhaps? HENSON: Well, that's really hard to know and if we decide to follow this one with a second, we'll play with it and see how if feels. It's not the sort of film that has a logical sequel. It doesn't immediately lead to another film. FF: Gary, in an earlier interview you said that this year's "sequel trend" was unfortunate. Is there anything you would like to do that's new and original in the field of science fiction/fantasy? KURTZ: When I said that I meant that I personally don't mind seeing a group of characters again that I enjoyed seeing the first time. I think one of the reasons we seem to enjoy the Star Wars films is because of the characters. It's the same with the James Bond films, or any other series of films. It doesn't have to be a direct sequel, just another story using the same characters, which will make a fine film. What bothers me is films like Jaws 2, which are the same film all over again, just with different people. You just do the same story, change a little, gussy it up and it's an easy decision to make. If we do this and it makes half of the original profits, we're okay. There are so many sequels this year that it pushes some of the newer material out of the way. That's what I think is unfortunate. HENSON: That's why it's such an easy decision to make. On Broadway there's nothing really new, only revivals of old shows because of the "safety factor." KURTZ: For example, the play Cats was originally offered to Broadway and they said, 'No, that's a terrible concept.' Eventually it opened in London and made lots of money, and only then did Broadway want it. The same thing happened to some extent with Evita. It's just like the original concept for Star Wars. A lot of people turned it down, some because they didn't like science fiction, which, I guess, is a reasonable excuse. If you read something and you don't,like it because you don't like the genre, that's ok. But some people turned Star Wars down because 'science fiction isn't selling right now', which is trying to second guess the audience. That's not intelligent. I think you have to push those boundaries a little and hope. We believed in the project, but it was Fox who ultimately stuck their necks out and backed us, quite frankly on the basis that we'd done one successful film, American Graffiti. If we had not made American Graffiti and if it had not been successful, there would have been no chance for anyone to make Star Wars. FF. You seem to be delving back into history for your next projects. Are you trying to educate the public to some extent? KURTZ: No, it's nothing as serious as that. I think that both of these are timeless. Both Little Nemo and The Spirit are excellent vehicles for animation. I've always been a fan of animation and it just happened that negotiations for the rights on both of them came together at the same time. I've always loved the Oz books myself, and Disney has owned them for thirty odd years, but they didn't know what to do with them because of the overpowering images of the MGM film. In a sense, you sort of have to set that aside. It doesn't demean it in any way, but you have to go back to the books and do the books as they were originally written. The Wizard of Oz as portrayed on stage and in film was more like a vaudeville show, a very bright and wonderful way, but the film is not a direct sequel to that. You couldn't do a direct sequel to that. Even if you could somehow magically bring Judy Garland back at the age she was as Dorthy I'm still not sure that would be enough to rekindle the popularity. You have to go directly back to the books. Maybe some of the younger people don't know the books that well, but I know 1'd like to see those characters again in another story. And that's the only reason I do movies, because I want to see it, and think there's enough of an audience out there to make it worthwhile.